We are proud to introduce our 2nd Generation of Ortho-Flex Saddles by presenting our first available model. The Gen II Patriot is made our new Flex Bar System that incorporates the latest advancements from Steele Saddle Tree Company. The Flex Bar System incorporates a unique ground seating system that stabilizes the seating area of the saddle but provides maximum flexibility for the natural movement of the Gaited breeds. 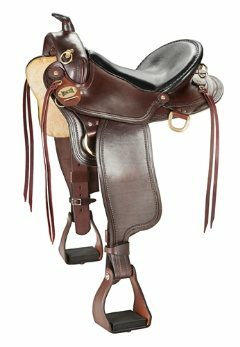 This saddle is constructed of the highest quality bridle leather available. 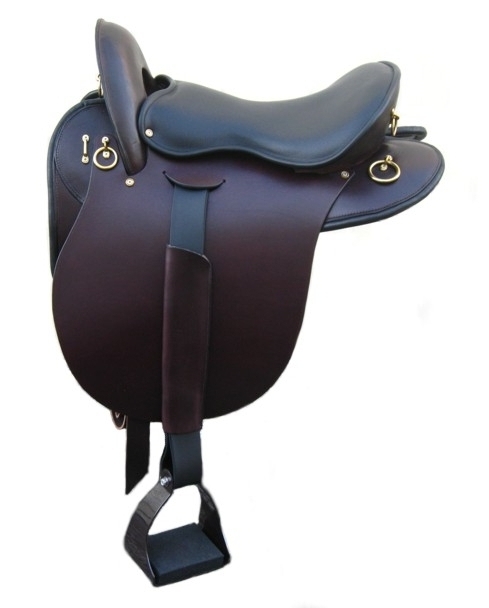 We do not use the typical skirting leather that is commonly used in saddle making. Our hides are drum dyed to give maximum penetration of the oils and dyes. The Saddle is available in many different tree sizes. See our tree descriptions or call us for a fitting consultation. The saddle has a superb seating area that provides the most comfortable ride you could imagine. The stirrups are extra wide with cushion in the tread and the stirrup leathers are constructed of Beta Biothane for years of service and maximum flexibility. The rigging is secured to the tree for maximum safety and all hardware is solid brass. Seat sizes Available: 16" or 17"
Call 800-251-3474 for a FREE Consultation !